Last month I had the opportunity to attend my first ballet performance and now I'm passing along the opportunity to you! Boston Ballet continues their spring Perception series with Edge of Vision, a triple bill program featuring three works commissioned by Boston Ballet: Jorma Elo’s highly anticipated world premiere, Bach Cello Suites; Helen Pickett’s Eventide, with new music, choreography, scenic designs and lighting; and Lila York’s rousing Celts which sets classical ballet, jigs, and speedy footwork to a mix of Irish music. 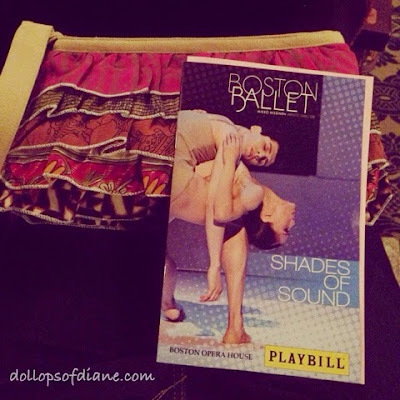 Boston Ballet's Edge of Vision will run April 30 – May 10, 2015, at the Boston Opera House with tickets starting at $29. For more information, visit www.bostonballet.org or call 617-695-6955. One lucky Dollops winner will receive a complimentary pair of tickets to the Saturday, May 9, 2015, 1pm performance. Whether you are a ballet veteran or a first timer, you are sure to have a great time! Winner must be able to attend this specific performance so check your calendar before you enter. Winner will be notified by May 3rd and will have 24 hours to respond before a new winner is chosen. 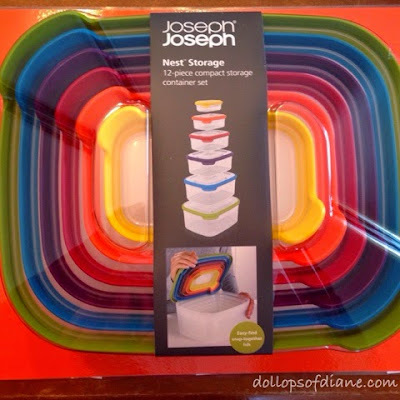 This is a quick giveaway so enter now! *Tickets were generously donate by the Boston Ballet and this post has been written in collaboration with them. As always, all opinions are my own. For the past few years, we have had a garden. I use the term "we" loosely because I honestly don't do anything with it! 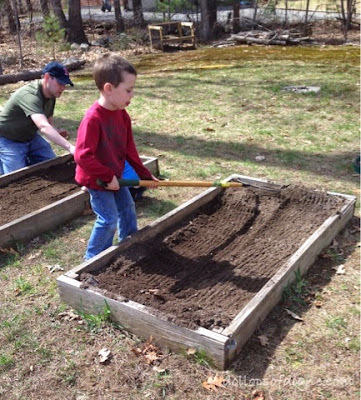 My husband has the green thumb in our family and he spends lots of time each spring/summer making sure that the garden is a success. 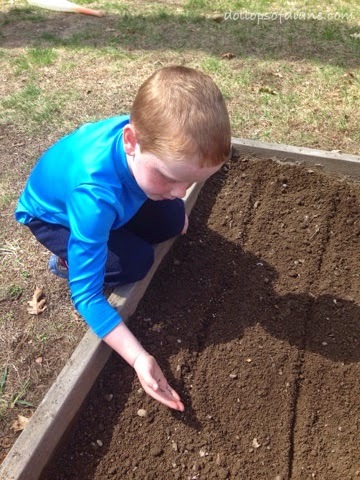 The kids LOVE to help him and it melts my heart a little bit each time I see them working together on it. The excitement that they have when the first vegetables start popping up is so awesome. Getting the kids to eat those vegetables is a whole other story though! 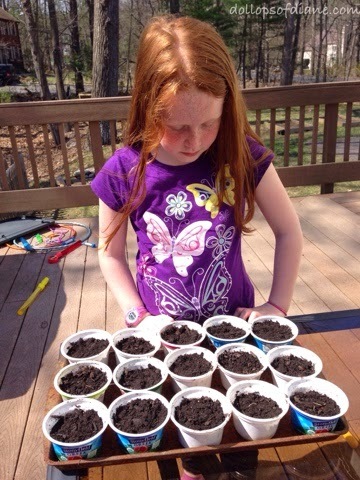 The little gardeners currently have some seeds going in our garden beds and some taking roots in empty Stonyfield yogurt containers that we can bring inside. 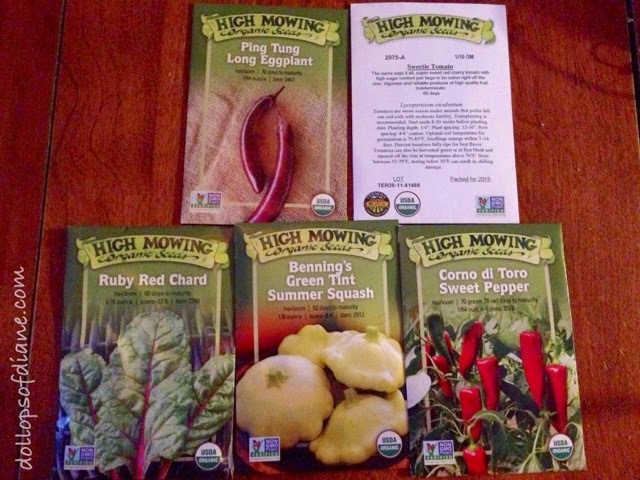 This year, we were lucky enough to receive some High Mowing Organic Seeds to use in our garden. 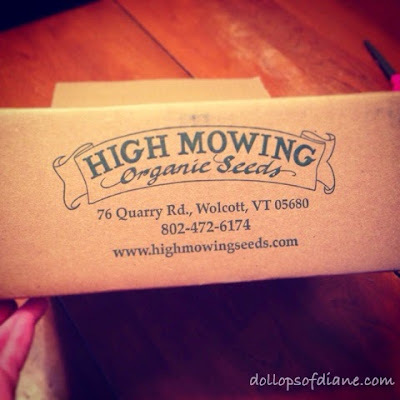 These seeds are 100% certified organic and non-GMO. To learn more about the philosophy of High Mowing Organic seeds, you can click HERE. You can also keep up to date on what they're offering by following them on Facebook HERE. 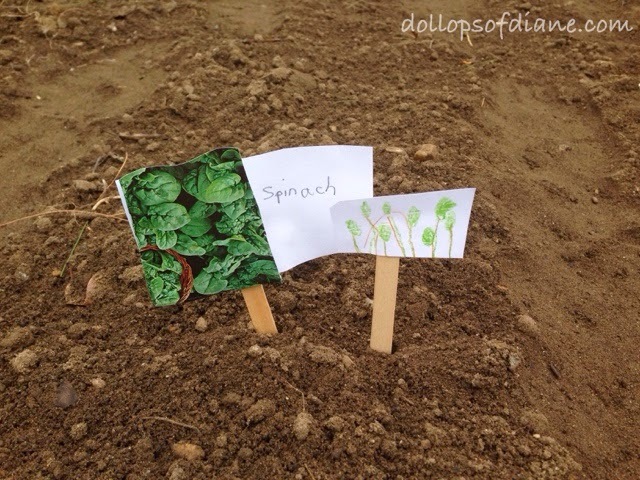 We can't wait to see how our garden does this year! *Disclosure: This post was written in partnership with Stonyfield and High Mowing Organic Seeds. As a YoGetter Ambassador, at times I receive free product and/or compensation. As always, all opinions are my own. Nominate Your Favorite Teacher's Classroom For A Makover! Teachers are a unique breed. They work day after day to shape the minds of our youth. It is HARD work and they often do it on very limited resources. That's one of the reasons that I'm happy to share with you a contest that could make your child's classroom (or any deserving classroom that you know!) a better place. Velcro Industries and design expert Sabrina Soto have announced the launch of the inaugural “Classroom Makeover” contest and invite educators, parents, students and friends to nominate a teacher to receive a complete classroom update and makeover. In honor of National Teacher Appreciation Week (May 4-8, 2015), the company and its brand ambassador, Sabrina Soto, will select a winning classroom entry then re-design and organize that classroom by integrating VELCRO® Brand products along with other design elements. Nominations for Pre-K through grade 12 educational rooms are open to educators, students, parents or friends and must be received by April 30, 2015. All classrooms, resource rooms or formal learning areas are eligible for submissions. Entrants must submit two (2) photos of the room with a brief reason the educator and the classroom deserve to win. The winner will be selected and announced on May 5, 2015 – official National Teacher Appreciation Day. For additional rules or to enter, please click HERE. This partnership and contest is just one way that Velcro Industries is helping with education initiatives around the world. For more information about their commitment to social and environmental work, please click HERE. Nominations are being accepted now so go nominate a classroom and/or teacher that you think deserves to a classroom makeover! *Disclaimer: This post was written in partnership with Velcro Industries in which I received complimentary products. As always, all opinions are my own. 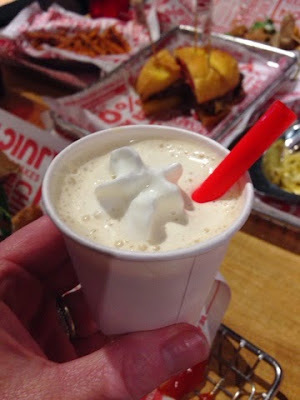 Tuesday night I was invited to attend a sneak preview of Smashburger which opened this week at University Station in Westwood, MA. Perhaps, I've been living under a rock, but I had no idea that University Station even existed. I looked it up online and before even stepping foot on it's property, I knew I was in love. University Station is a mixed use (retail, commercial, and residential) location adjacent to the Route 128 MBTA/Amtrak Train station. Stores and restaurants just started opening in March so everything is brand new. Many more stores (including Wegmans) and restaurants (including Not Your Average Joe's) are opening throughout the spring, summer, and fall so you'll definitely want to check back often. You can click HERE for the most recent store updates. So after finding this place and falling in love, I got to make all my dreams come true by sampling MANY burgers and shakes at Smashburger. Talk about a dream night! 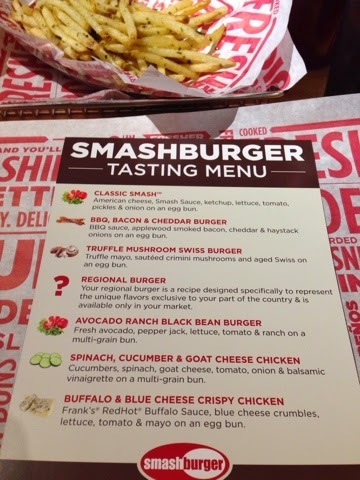 This is Smashburgers second location in New England with plans on the horizon for more. The burgers start with 100-percent—fresh, never frozen, All-natural Certified Angus Beef and is smashed on a 400 degree flat grill to sear in the juicy flavor. The burgers are then served on toasted artisan buns and topped with a selection of fresh produce, real cheeses, and high-quality condiments. My favorite burger was the BBQ, Bacon, & Cheddar because, really how can you go wrong with that?! I also loved the Oreo Hand Spun-Shake as well as the Peanut Butter and Jelly one. Really there was deliciousness all around that night! You can check out their full menu (including regional specialties) HERE. 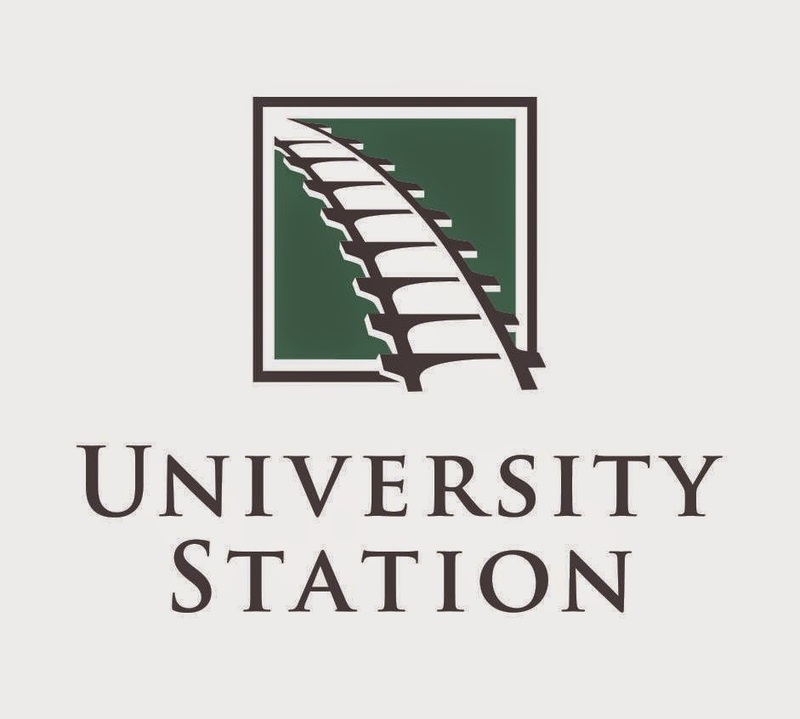 So if you're like me and didn't know that University Station existed, you should go check it out!